Taste Washington is quickly approaching and I couldn’t be more excited! 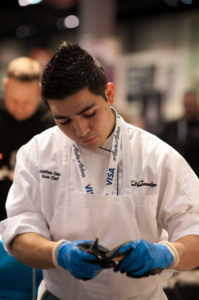 When I first attended this event two years ago, it was like entering culinary heaven. You walk through the doors, grab a glass and gaze out in wonder at the amazing treasure trove of delights that lay ahead of you. I realize that sounds pretty intense, but trust me, it’s accurate. 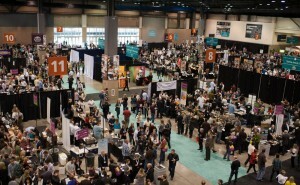 With row after row of Washington winemakers excited to tell you about their craft, and restaurateurs eager to show off their skills, this is the nation’s largest single-region wine and food event – and it happens in Seattle! Taste Washington features over 225 wineries and each one pours around three wines from their catalog throughout the event. That amounts to over 675 wines to sip and savor over the course of two days! While I don’t recommend you attempt to sample all of them, you will certainly have a tough time narrowing it down. Even if you’re not a wine fan, you can also find multiple cideries and breweries at the event so there truly is something for everyone (as long as you’re 21 and up). 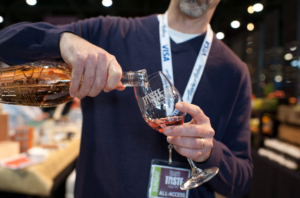 Adding to the wealth of wineries, cideries and breweries, you will also find over 60 local restaurants and food trucks at Taste Washington, serving up tasty morsels from their menu. Make the Aqua by El Gaucho oyster bar your first stop – paired with a crisp, chilled white wine, it’s the best way to kick off the afternoon. With so many restaurants to choose from, ranging from the Barking Frog at Willows Lodge to Ezell’s famous fried chicken, you will undoubtedly be leaving full and satisfied. If you’re looking to expand your wine knowledge before the Grand Tasting, check out the seminars. There are plenty of topics to choose from and all are accessible for every level of wine lover, from the novice to the expert. Looking for something different? Try a hand’s on wine blending tutorial or learn different ways to cook with wine, beer and spirits! To truly understand the culinary caliber of this event, you have to attend. Come hungry and be ready to try a little bit of everything. The program will be posted on the Taste Washington website before the event, so you can make sure to hit all of your favorite wineries and those up-and-comers you’ve just started to hear about. Taste also offers great hotel packages with added amenities like free parking or a bottle of Washington wine so take advantage! Stay downtown and make it a weekend you won’t forget. 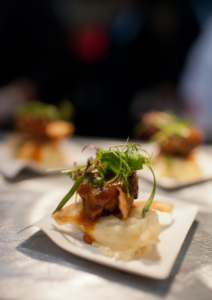 Taste Washington happens March 29 & 30 at CenturyLink Field Event Center in Seattle, WA. For tickets, hotel packages and more information, visit tastewashington.org.